Ai Xuan is a painter of the Beijing Art Academy and a member of the Chinese Artists’ Association. 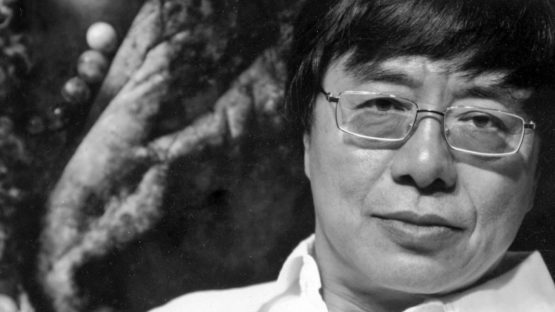 He was born in 1947 in Zhejiang as the son of a famous political poet Ai Quing. He studied at the Central Academy of Fine Arts, where at the time there weren’t many options to choose from. Students could learn traditional ink painting or realism. Luckily, Ai Xuan chose the latter, indebting the art world from that point on. The artist proudly states that realism is the only style he has ever known. In art, he values technique and required skill. This point of view might easily contradict to anything modern, which Ai Xuan frowns upon. He strongly believes that the harder it was to make the artwork, the better it is. Master Ai, as he is known in China, is renowned for his finely rendered large-format portraits of Tibetan people. Inspiration and love for this motif date back to 1974 when Ai joined the army and sent to Sichuan. This is when he first saw Tibet, and from that point on everything changed. Ai travels to Tibet every time he creates a new piece of art. He doesn’t take sketches or photographs, he simply soaks in the feeling and atmosphere of this magical place, only to return to the comfort of his home in Beijing and contemplate his trip. That is when the sketches are created. The process of creation such a masterpiece doesn’t end here. 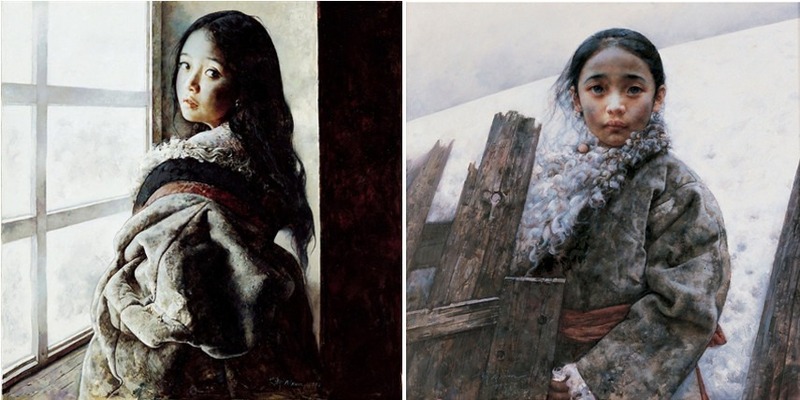 Before the first stroke of the brush, this Chinese artist goes to Tibet again. This time he takes on a role of a director, a role which he enjoys immensely. He picks the right people and places that epitomize his idea and vision for the oil painting. His artworks are of sentimental nature, and almost confrontationally old-fashioned. Taking advantage of the scenery, Ai expresses desolate emotions paired with a mysterious beauty. This visionary and realistic world he creates invites the audience to enter the holy world and share his aesthetic sensibility. The spirituality in his paintings is temperate and expressive, honoring the beauty of figures and of nature. Master Ai’s art takes us back to a time when beauty was a synonym for art. In 1987, Ai went to the USA for his solo exhibition and ended up staying there for a year. He spent his time visiting academics and meeting famous artists. He participated in a fundraising auction for the Great Wall of China, in Great Britain. Master Ai’s name is listed several Chinese artist collections as well as the modern art history. His portraits attain the highest praise, commented on by the most prominent magazines such as the New York Times, the Wall Street Journal and much more. Ai is aware what his paintings may appear like at this time and age, but his faith in realism is steady as a rock. In 2004 he founded Beijing Realism School (now the China School of Realism). The artist confidently states that no matter what is going on outside, the genre of realism is indestructible. Ai Xuan lives and works in Beijing, China. Featured image: Ai Xuan – portrait – photo courtesy of the artist.